We read about it, sing about it, watch movies about it, and long to personally experience the wonder of it: LOVE! I don't mean simple passion that ignites quickly, burns hot and then cools to ash—but REAL LOVE—the kind that’s worth living and sacrificing for. Even dying for, if necessary. When love is genuine, it merges two hearts into one and creates a relationship that shines as a beacon of hope to all who see it. Elton was twelve when they met. Helen was the six-year old sister of his best friend, and he barely noticed her. But one day, ten years later, he looked up and there SHE was. While he wasn't paying attention, the child had grown into a captivating sixteen-year old beauty who would forever hold his heart. Elton and Helen wed April 12, 1941. He was twenty-four and she was almost eighteen. Over the next several years, they welcomed three beautiful daughters into the world. Their life together was filled with laughter and tears, victories and losses, blessings and hardships. But through it all, their devotion to each other remained strong and became the center of the world for their children, grandchildren and great-grandchildren. Elton and Helen enjoyed ten more years together before he died peacefully in his sleep at the side of his beloved bride. Without Elton, time passed slowly for Helen, but she found comfort in prayer, reading her Bible and spending time with family members. Even so, for the next twelve years, she longed for his presence daily. In the spring of 2013, she asked her daughters to look through her books and locate a poem that had brought her much comfort in the years since Elton had died. She deeply missed “Pop” and wanted to read it again. 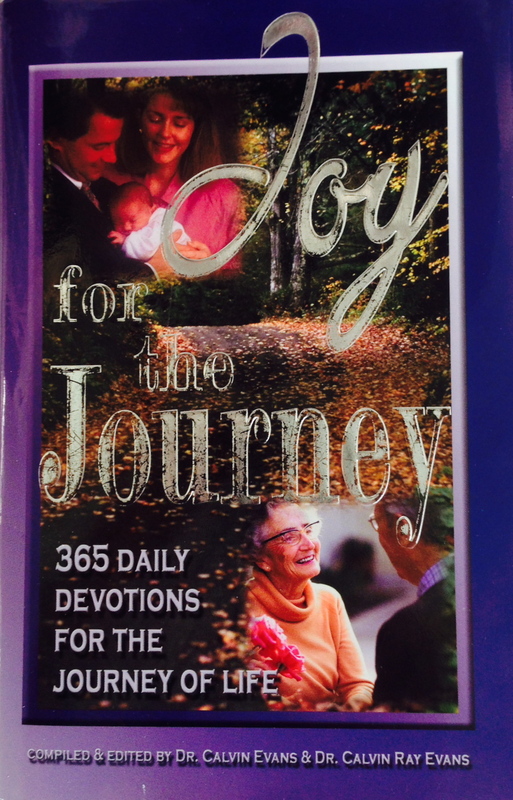 The poem, titled “Heaven”, was published in a 365-day devotion book, Joy for the Journey. It describes the splendor of heaven from the perspective of someone who has just died and provides encouragement for loved ones left behind. Her daughters found the book. "Granny" wanted to keep it close to her, so they made a copy of the page that included the poem, and she tucked it into her Bible. On May 26, a couple of weeks after retrieving the poem, my grandmother Helen suffered a massive brain aneurism. She never regained consciousness. The following day when she slipped away from this earth, she entered heaven directly from our arms with the words, “We love you!” whispered in her ears. Helen's three daughters, saddened by the loss of their mom, returned to her home and began to plan her funeral. While turning through the pages of her Bible, they discovered the copy of the devotional message she had requested a couple of weeks earlier. There was a simultaneous gasp of surprise. Then one trembling finger traced the title at the top of the page. The daughters passed the sheet of paper from one to another, unable to believe their eyes. The devotion was titled: May 26 – Beautiful Reunion. What kind of LOVE is this? What passion causes God to anticipate the pain of His children and to respond with supernatural comfort and peace even before we need it? The depth of His devotion is beyond our ability to comprehend. It's the kind of love that Jesus believed was worth living for, worth sacrificing for, and even worth dying for. It's the kind of love God has for you. My grandparents wrote a love story with their lives that was founded upon their personal relationship with Jesus Christ. Their story lives on in the hearts of all who love them. When Jesus turned the last page of Elton and Helen's love story on earth, He used the “Heaven” poem to sign THE END with a flourish. Then He led them into a new story of eternal life with HIm. I hope their love inspires you to do the same. Have you experienced a genuine love relationship with Jesus Christ, or is there a vast emptiness in your life that nothing can adequately fill? In fact, the entire world isn't enough to satisfy your need, because you were made for something better. For SOMEONE better. Without Him, you will be forever empty, searching, and lonely. With Him, you will be forever empowered, satisfied, and whole. God sent His Son Jesus to pay the penalty for your sins. If you accept this gift by asking Him to forgive you and acknowledging Him as Lord, He will take your hand and walk through every step of your life with you. He will encourage, strengthen, and comfort you until the day He leads you to Heaven to live there with Him forever. What's your story? Maybe it hasn't been a good one so far and you'd like to start over. Simply take this first step, and you can begin writing a glorious new chapter today! Published on December 04, 2013 by Debbie Turner.